Today’s mechanical sports are impressive due to the speed and intensity of the races not forgetting high-technology. But impressive is not strong enough for the TT. TT is a breathtaking experience which never fails to impress. 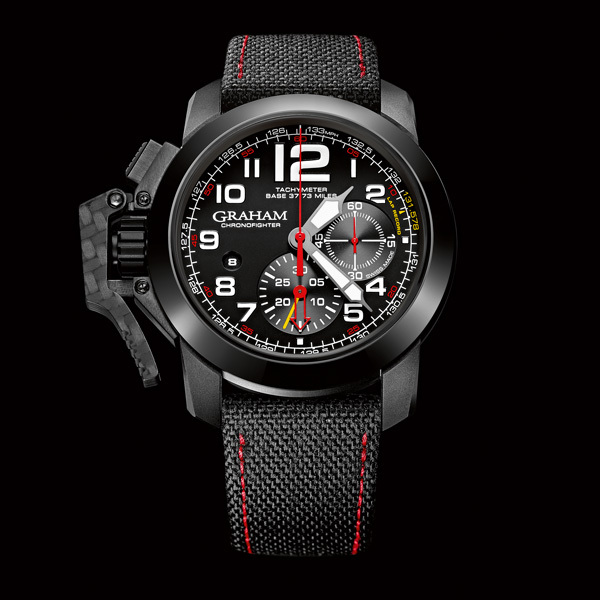 As a long-term timekeeper, GRAHAM brings its advanced watch making knowledge to create typical high-powered racing instruments and ensure an exciting show. 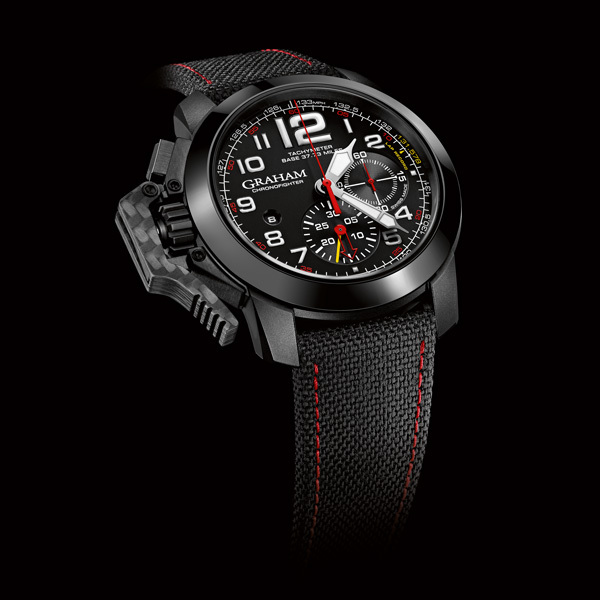 The brand shows off modern watch making technology by launching the Chronofighter Oversize Superlight TT. Enhanced with a lightweight black carbon nanotube composite case, the highly shock absorbing watch weighs less than 100g. Let’s hit the road. Beautiful motorcycles, legendary riders and a stunning limited edition watch; what a perfect combination. They started at 2, then, ten, 20, and even more today (almost 250), riding like crazy. GRAHAM wants to pay tribute to the men who risk their lives in the name of passion by taking part in the TT every year. The limited edition Chronofighter Oversize Superlight TT is a new concept watch dedicated to speed, adrenaline and advanced technology. Steel has proven its merits but is somewhat ordinary. 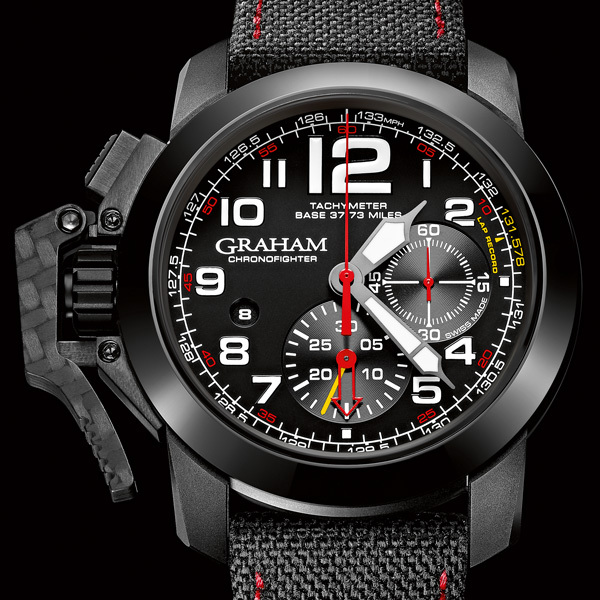 GRAHAM has developed a case, made of carbon nanotube speckled composite. The watch weighs less than 100 grams. The model contains motorsport design connotations, lightweight material to time with lap time functions. The new Superlight chronograph facilitates the measurement of speed thanks to a specific tachymeter scale based on the TT circuit (37.73 miles / 60.7 km). The yellow indicator on the minutes counter is at 17 min (lap record time, 131.578 mph / 211.75 kmh established by John McGuinness). The chrono starts when the race start is given. When the red minutes hand overlaps the yellow marker, the speed can be read in an instant on the scale. The function emphasizes intuitive and immediate reading. The watch demonstrates again GRAHAM’s expertise and passion for challenge. That’s what rebel with a cause means.